Raffir Alume is a composite material with aluminium meshes encapsulated in a translucent epoxy resin. The material has unique three-dimensional textures with contrasts between satin light grey aluminium and deep coloured semi-transparent resin. This beautiful new material comes in 6 different colours: black, blue, brown, green, yellow and red. It is suitable for high end products in various crafts and industries, especially in uses such as unique handles and in jewellery manufacturing. 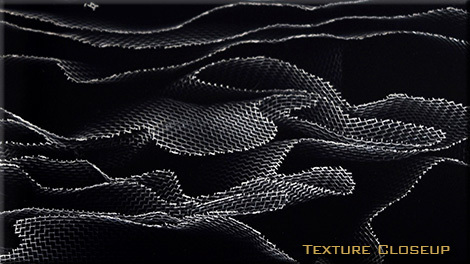 The material is recommended for any small or medium scale product, in which aesthetics and uniqueness are crucial. Raffir Alume is easily machined and can obtain a beautiful high-gloss finish after polishing. Water grinding is recommended for easy and safe processing. Standard safety measures should be followed while machining the materials, and inhaling dust particles should be avoided by using local exhaust ventilation and respirator.